Facebook’s shopping spree continues, this time in Finland. The social network has acquired Helsinki, Finland-based mobile data startup Pryte. Financial terms of the acquisition were not disclosed. Pryte, which was founded last year, measures real-time user actions, app use and context to trigger marketing decisions. According to the company’s website, Pryte technology “enables the selling of mobile data packages inside (or on top of) any app’s user flow,” without changes to the app. The Pryte team will be an exciting addition to Facebook. Their deep industry experience working with mobile operators aligns closely with the initiatives we pursue with Internet.org, to partner with operators to bring affordable internet access to the next 5 billion people, in a profitable way. Today, we are delighted to announce that our team will be joining Facebook. 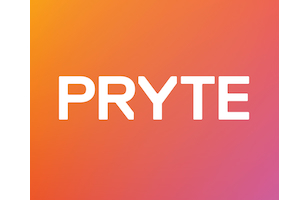 Since we launched Pryte we have worked to reimagine the way mobile data works in an app-driven world, by enabling partnerships between app and content providers, and mobile operators. Now, we’re joining Facebook, whose mission to connect the world by partnering with operators to bring people online in a profitable way aligns closely with our team’s goals. We are excited to get started, and make an even greater impact by advancing the work we are doing in collaboration with Facebook’s great team working to further Internet.org’s goal of making affordable internet access available to everyone in the world.